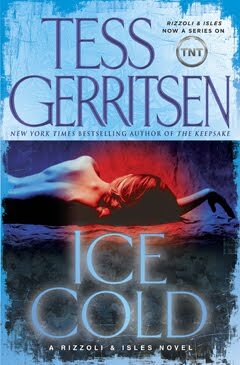 Stephen Usery interviews Tess Gerritsen about Ice Cold, her eighth book featuring Boston homicide detective Jane Rizzoli and medical examiner Maura Isles. Dr. Isles goes missing while in Wyoming for a conference, and Rizzoli must control her temper when out of her jurisdiction while trying to help find her colleague and friend. Stephen Usery interviews Aram Goudsouzian about his new book, King of the Court: Bill Russell and the Basketball Revolution. It's an in-depth look at the greatest champion in American team sports, two NCAA titles, an Olympic Gold Medal, and eleven NBA championships. Special attention is paid to Russell's involvement in raising the racial consciousness of America during the Civil Rights era and ever since. Stephen Usery interviews Nashvillian Adam Ross about his debut novel Mr. Peanut. Stephen King calls Mr. Peanut "...the most riveting look at the dark side of marriage since Who's Afraid of Virginia Woolf?" It's a complex look at love, hate, murder suicide, and resignation in three marriages that are tied together by the eternal struggle to actually communicate between married partners. Tune into Book Talk this Saturday evening as Stephen Usery interviews Sebastian Junger about his new best-selling book, War, a look at a year in the life of a United States Army company stationed in the Korengal Valley in Afghanistan, which has the highest casualty rate for any outpost in the country. Not intended as a political view of the war, it's a grunt's-eye-view of battle in some of the toughest terrain on Earth. 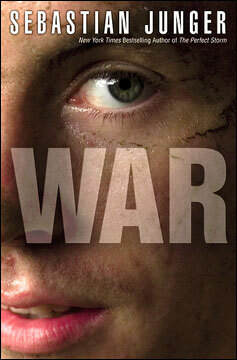 Sebastian Junger on Book Talk this Saturday evening at 6:00 p.m. on FM89.3 WYPL Memphis. Stephen Usery interviews Sam McLeod about his hilarious new memoir, Big Appetite:My Southern Fried Search For the Meaning of Life. As adult Sam drives across county to attend a neighborhood reunion in Nashville, he reflects back on his family, neighbors, and not least of all, the delicious food of his childhood years in central Tennessee.